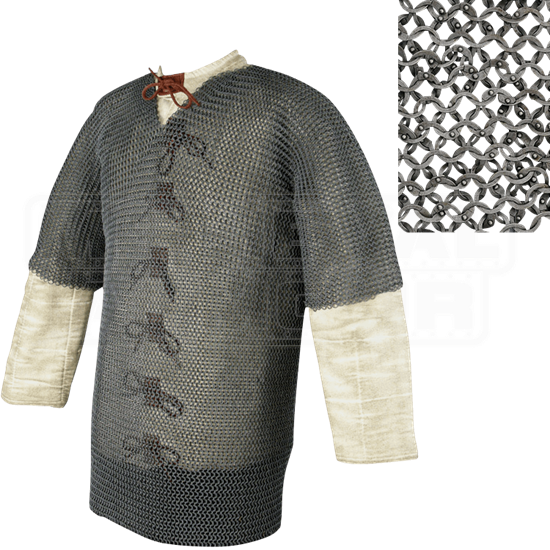 This style of maille is reasonably authentic to the early medieval period, particularly in the European flat ring (EFR) version. In steel this construction style has the advantage of strength, allowing it to be used for supervised weapons-contact re-enactment. More economical than wedge-riveted maille, the domed-head riveted style is available in steel, in round wire and flat ring versions, and in round wire aluminum. 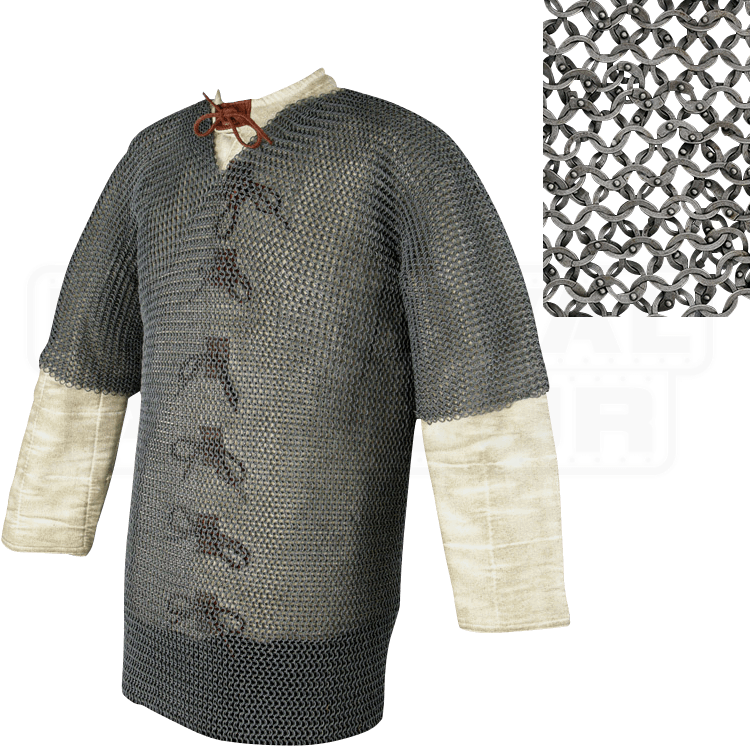 Riveted aluminum rings will maintain their integrity well but aluminum maille is not recommended for weapons contact. Construction is in the 4 in 1 pattern. Full specifications and available finishes are shown against each specific item.